The 25th Annual Philadelphia Marathon Weekend Is Here! Completing a marathon is a huge accomplishment! Months of training and hard work culminating with one exciting day – running a mind-boggling 26.2 miles and testing the limits of the human body and spirit like almost nothing else can! I’ve completed one marathon in my life, and I have to say, that’s quite enough for me. Except… my marathon was not the Philadelphia Marathon, and each year, when this week in November rolls around, I find myself longing to try the feat again in our city! The marathon as we know it today commemorates the fabled run of the Greek soldier Pheidippides, the messenger who in 490 B.C. was sent from the battlefield of Marathon to Athens, where he announced that the Persians had been defeated. Legend has it that he ran the whole way, nearly 25 miles, proclaimed the victory, then collapsed and died (oof!). 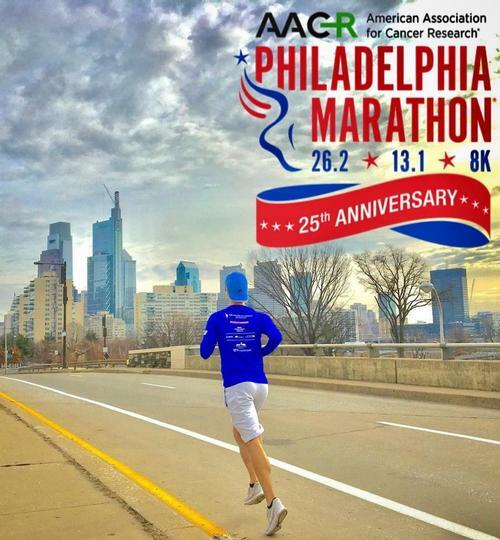 In 2018, the AACR Philadelphia Marathon is celebrating its 25th year! Saturday, November 17 will feature the Dietz & Watson Half Marathon (13.1 miles), the Rothman Orthopedics 8K race, and the Dunkin’ Munchkin Kids Fun Run. The weekend will culminate on Sunday, November 18 with the full marathon. And guess what? The routes pass by the Parkway Central Library on Vine Street – so don’t forget to wave! If you’ll be participating this year or cheering on a loved one, what better way to get ready than with a book or movie about running? Here are some of my favorites! There are two movie versions as well, but I really enjoyed the book best. It tells the story of the legendary Olympian Steve Prefontaine, the first person to win four NCAA titles in the same event (the three-mile) and who in his career held seven different American track & field records. Watch this one on DVD or Blu-ray! Olympian and war hero Louis Zamperini survived a plane crash during WWII, but was then captured by the Japanese Navy and sent to a prisoner-of-war camp. The story of Alan Webb, who became the first American high schooler to run a sub-4 minute mile indoors. While training for the New York City marathon, Haruki Murakami kept a journal of his progress, and this memoir – covering running, writing, and life – is the result. This one is perfect for anyone looking to get a start in running, but who might think it’s not for them, that they can’t do it, or who simply can’t imagine becoming a runner. Alexandra Heminsley tells the story of going from non-athlete to five-time marathoner. Good luck to all the runners and congratulations on what you’ve already accomplished in putting in the work – we’re cheering for you, Philly! This year this race brought tears to my eyes. I feel a need to try it again. 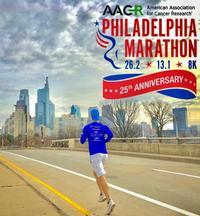 Add a Comment to The 25th Annual Philadelphia Marathon Weekend Is Here!